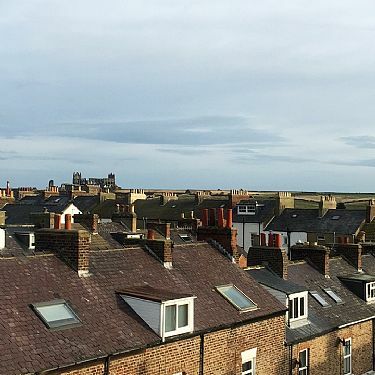 Welcome to Airy Hill View B&B, a boutique guest space in our home in gorgeous Whitby, North Yorkshire! The Abbey View suite represents a totally exclusive stay for you, because it's the only guest accommodation in the property - you'll have the whole upper floor to yourselves over 3 separate rooms. There's free car parking in the local area and it's a 10 minute walk down to the town centre and all attractions. Perfect for a family (up to 2 adults and 2 children) or two couples, you'll have the whole floor of the B&B to yourselves. 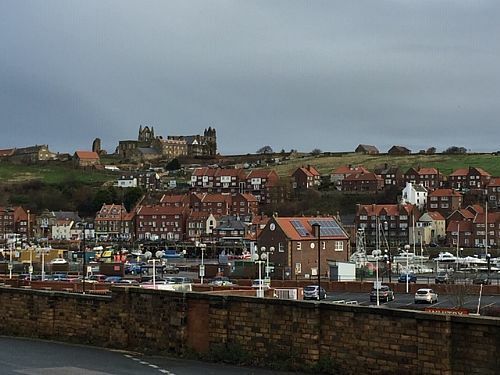 One bedroom has a king-sized bed and separate chairs with a clear view of historic Whitby Abbey, the other bedroom has a king-sized day bed (sleeps 2) and TV. The bathroom is not ensuite - less chance to be disturbed! - but is private and reserved only for your use! A fantastic breakfast is provided, including a choice of English breakfast with homemade bagels, souffle pancakes with seasonal fruit or vegan teacakes. NB: Not suitable for guests with mobility issues as there are 3 flights of stairs to the guest accommodation. We can provide assistance with bags or luggage.